Q How can I use my headset with my mobile phone? (Jabra PRO 9470 only). – Refer to the section “Re-running the Setup Wizards” which explains how to launch the mobile phone part of the setup wizard. This puts the headset’s base into pairing mode, which causes it to advertise itself as ‘available for pairing’. – Make sure that Bluetooth® is active on your mobile phone and put it into Bluetooth® pairing mode. The exact procedure for doing this varies according to brand and model. See your user manual for details. – Remember that the headset identifies itself as “Jabra PRO 9470” — you need to find and select this on your phone. You might also be prompted to enter the pass code “0000” (four zeros) to accept pairing. If you need more on this, see the section called “Using Jabra PRO 9470 with a mobile phone” in the user manual. Q How many Bluetooth® devices can I have connected to the Jabra PRO 9470 base? A Only one. The Jabra PRO 9470 base supports Bluetooth® so that you can use your mobile phone with your headset. Q How do I pair my headset with the Jabra PRO 9460 base? 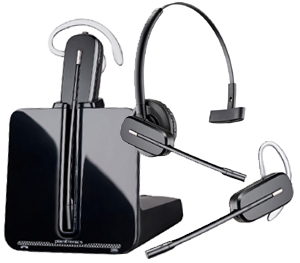 A If you dock a Jabra PRO 9460 base and headset that are not paired, the touch screen asks if you would like to pair the headset — either as a primary or secondary device. If you choose to pair it as secondary, the connection is temporary, lasting only until the end of the next (or current call). This feature is meant to facilitate conference calling. Touch the ‘confirm’ icon to pair them; touch the ‘cancel’ icon to prevent pairing (while still charging the headset). it is already paired, no pairing notification appears. For more information, see the section called “Pairing and Connecting the Base and Headset” in the user manual. Q Can I pair my headset directly with a third-party DECT DECT phone? 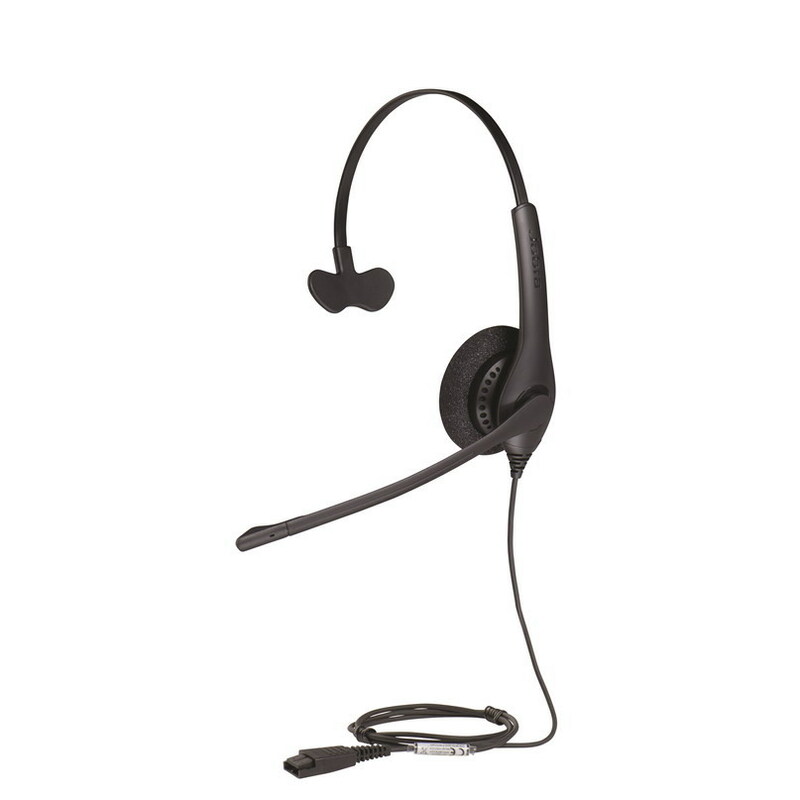 A No, you can only pair the headset with a Jabra PRO 9400 base (it is not Generic Access Profile (GAP) compliant). This is because Jabra PRO 9400 uses an enhanced version of the DECT standard, thereby enabling many of its advanced call-handling features. These enhancements are not supported by third-party manufacturers. Q Why doesn’t my computer detect the Jabra PRO 9400 base? A Try connecting the base to another USB port on the PC. Also, please note that it is recommended to have a direct connection – i.e. with no USB hub in between. 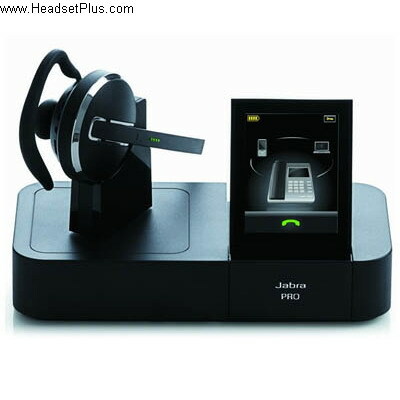 Q Why doesn’t my headset work with my desk phone / softphones / mobile phone (Jabra PRO 9470 only)? – Make sure the headset is charged. The LED lights a constant yellow color while charging, then shows no light at all (only state indication) when fully charged. the base (up to 30ft). – The base / mobile phone and the headset may no longer be paired. Refer to the questions about pairing these devices, above. Q Nothing happens when I try to use my desk phone. – Make sure the Jabra PRO 9400 base is powered on (check that the touch screen is on). – Make sure the desk phone is the current target. See the section called “The Target Phone Concept” for more. – Make sure that the telephone has an active connection to the phone network (i.e. its handset is off the hook or its headset button is pressed). – Re-run the desk phone set-up wizard. – Make sure the two devices are paired and connected. See the section “Using Jabra PRO 9470 with a mobile phone” in the user manual for more information. – Increase the speaker volume on the headset by sliding your finger up the touch-sensitive panel on the side of the headset. Q I hear a low noise in the headset when there is silence at the other end? A Your headset is probably using one of the highest volume settings. Decrease the speaker volume on the headset by sliding your finger down the touch-sensitive panel on the side of the headset. Q I hear myself when I talk using my desk phone. What can I do? A This probably means your transmission volume is too high. Set the transmission volume on your desk phone to a lower level. A The clear dial-tone switch and/or microphone-level setting in the Jabra PRO 9400 base may be set incorrectly. Correct by re-running the desk phone setup wizard. See the section called “Re-running the Setup Wizards” in the user manual for more information. Q I am getting a buzzing sound in my headset. A If the device has been set up correctly, your telephone may not be fully immune to the radio signals the headset uses. To overcome this problem, move the headset base at least 12in away from the telephone. Alternatively, you can reduce the range of your unit by adjusting the settings on the touch screen. Q I can’t hear sound or listen to music from my PC in my headset. – Make sure that the Jabra PRO 9400 base is selected as the current audio device both in the Windows sound control panel and in the application you are using. – Make sure the audio link to the PC is open (e.g., by right-clicking on the Jabra Device Service icon in the Windows notification area on your PC). – Make sure softphones is enabled in Jabra PC Suite. Q I have moved to a new desk at work. Is it possible to put my headset on another Jabra PRO 9400 base? A Yes. 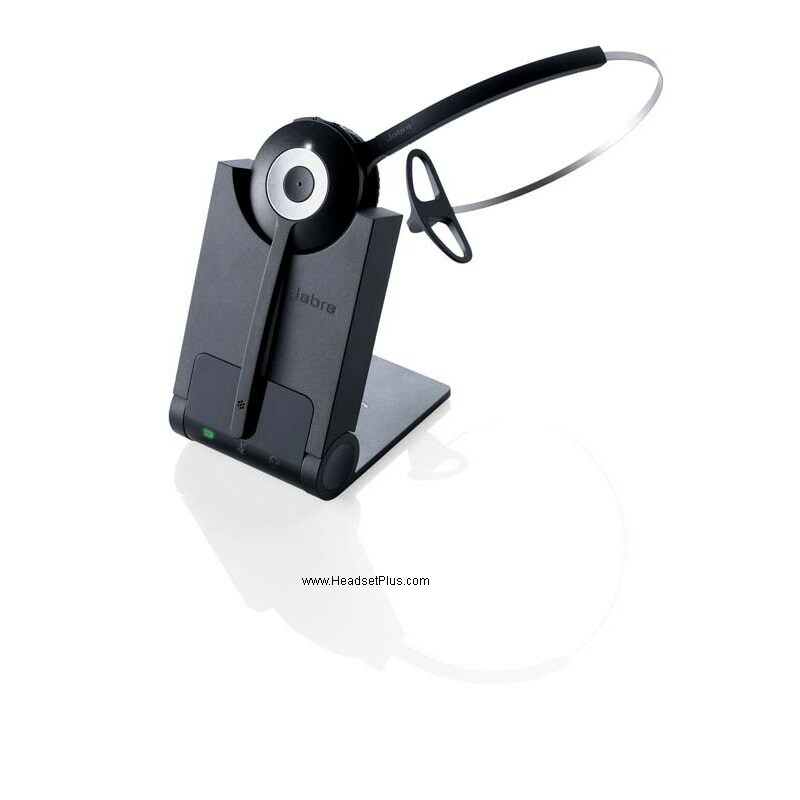 Just place your headset in the cradle on the new Jabra PRO 9400 base. The two devices will pair and connect automatically. Q When I try to make a call on my desk phone, the GN 1000 RHL lifts, but the call is not connected. A The GN1000 cannot be used in conjunction with a headset port. Make sure that the Jabra PRO 9400 base is connected to your desk phone’s handset port and not its headset port (if it has one). Q Is it possible to automate calling and answering on my desk phone without using a handset lifter? A Yes, if your desk phone has an electronic hook switch feature. Check with your supplier for compatibility with your phone, and/or consult the support area at www.jabra.com. Q My telephone includes an electronic hook switch feature that should work with my headset, but I can’t make it function. Q D Does Wi -Fi interfere with Jabra PRO 9400 if you have them in the same place? the free channels are used. A The risk of unauthorized access to communication via a Jabra PRO 9400 headset is very limited as 64-bit encryption is used for the data stream. Q What is the range on the Jabra PRO 9400 solution? 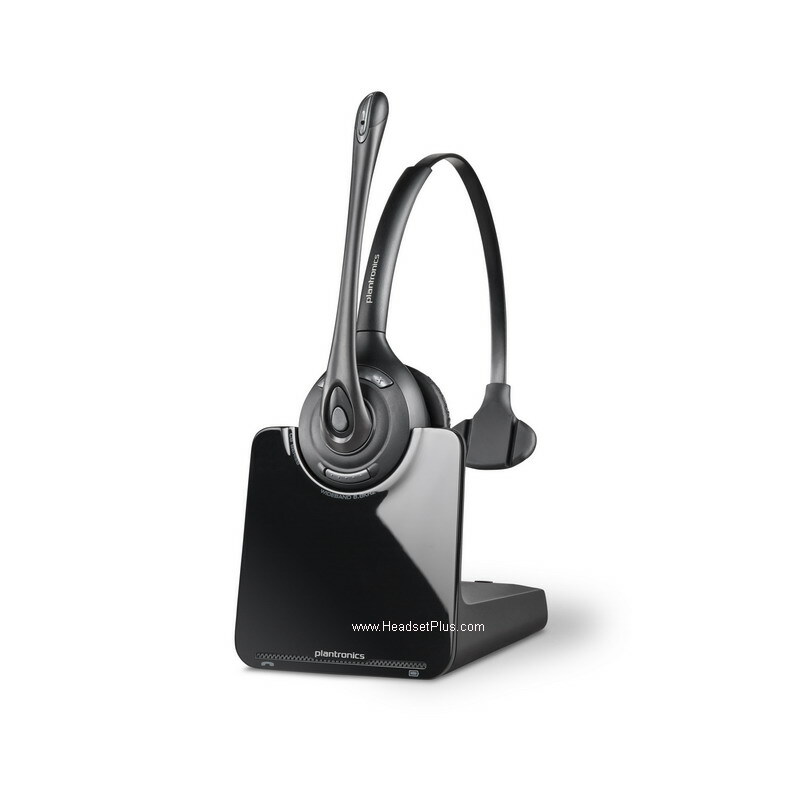 A Jabra PRO 9400 supports a maximum range of up to tgt* (base to headset). In practice, you may find the range to be somewhat shorter due to physical obstructions and electromagnetic interference. The sound in your headset will slowly deteriorate as you move farther from the base. Move back into range and sound quality is restored. If you move all the way out of range while talking, you will lose all sound, but your call will be held open at the base for 60 seconds. This gives you the chance to move back in range. However, after 60 seconds the current call will be terminated. If you remain out of range for a longer time, you may need to re-establish the DECT connection manually when you return (i.e. dock the headset to the base). Q What about conference calls? 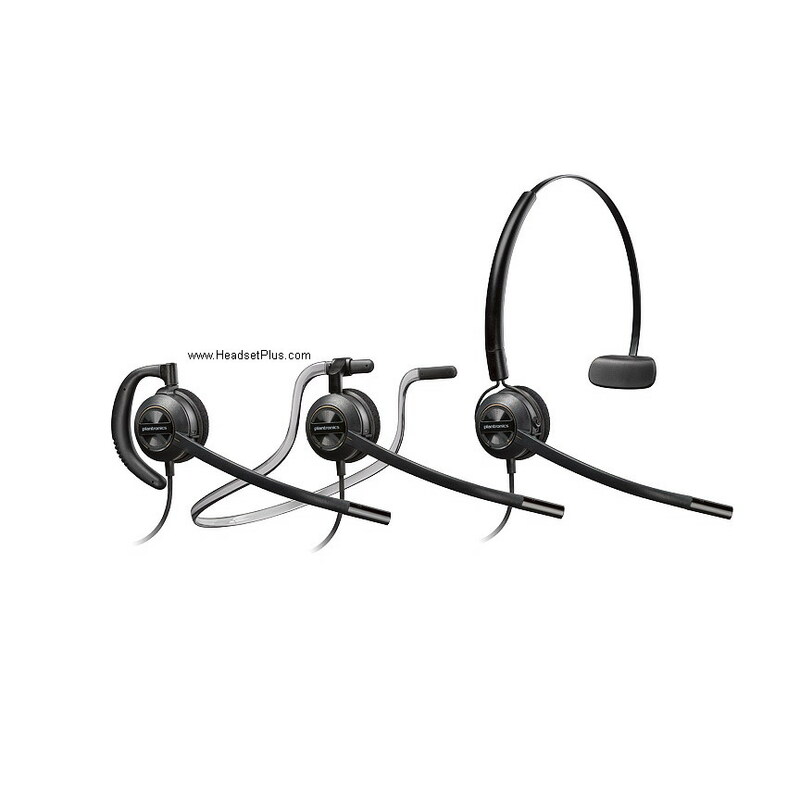 A The Jabra PRO 9400 base is able to pair with one primary headset plus an optional and temporary secondary headset. 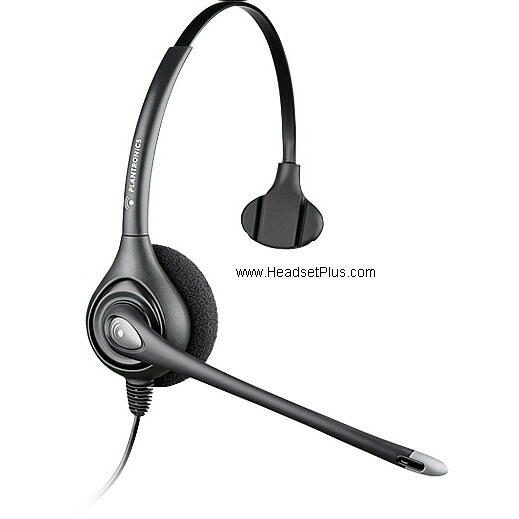 This allows you to share your conversation with another headset user for conference calling. Q Can I turn the headset off to save power when I’m away from the base? A Yes. Press and hold down the headset’s multifunction button down for 5 seconds. To turn the headset back on again, simply dock it in its cradle or press the multifunction button. Please note that this power cycle is the equivalent of resetting the headset. Q What is the talk time for a Jabra PRO 9400 headset? A About 8 hours for wideband talk mode and up to 10 hours for narrowband talk mode. Q My headband / earhook / neckband is broken. How do I get another one? A Simply contact your local Jabra supplier and place an order. You can find the part numbers in the section called “Optional Accessories” in the user manual. Q I can’t contact the dial-in server. What should I do? A Let the touch screen wizard guide you — you can retry the automatic setup or try a manual setup of your desk phone. You can also choose to retry the cable setup. See the section called “Configuring the Jabra PRO 9400 base for your desk phone” in the user manual for more information. Q Does the 9460/9470 work on a Apple Mac Computer? Jabra GO 6470 and Jabra PRO 9470 have been tested on Mac Book, OS 10.4.1. USB audio, TX/RX works fine, i.e. via Skype. The great thing is the auto-audio-link, so although you do not have EHS on Skype with a Mac, the audio link opens automatically when Skype call is initiated. As always on Mac, you manually have to change audio setting before the audio is handled correctly. Q Does both Jabra PRO 9400 and Jabra GO 6400 support fast charging? Only Jabra GO 6400 supports fast charging.